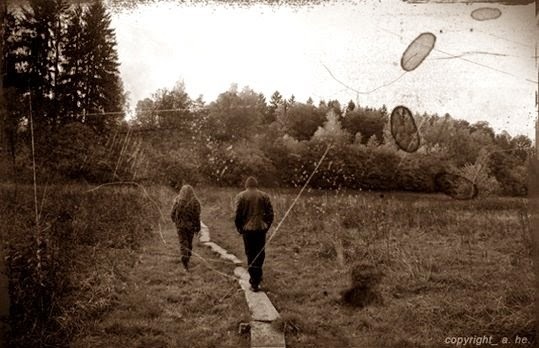 Immorior is a mysterious duo coming from the German land, that plays an emotional form of post-black, influenced by a certain depressive black scene combined with post rock. Let's see what Sarghas and Nordmann say about their music. Hi guys, I have just posted the review of your album "Herbstmär", it is your debut album isn't it? Could you tell us more about your band but also about your previous experience. You are not rookie, but both of you are coming from other bands, is it right? Yes it's our debut album. We're both playing music together since 10 years and founded some bands. Immorior is our latest band but the first one which released a full lenght. We tried to create a atmospheric album combining lots of styles and influences and we are very pleased with the final result. In your sound I have found and highlighted influences coming from Agalloch, Summoning and even though I have not underlined, also from Empyrium. What can you say about it? Which kind of reviews have you got? To be honest, both of us don't know many songs of Agalloch. So we don't think that there's a influence of them on "Herbstmär". Influences by Summoning and Empyrium could be possible but the biggest impact on our band may come from bands like Nocturnal Depression, Nargaroth and Post Rock stuff like Yndi Halda. The Reviews for Herbstmär were mainly positive so far. Could you tell me more about the process of songwriting of the album, you are two people, how is simpler to produce a song with 4 hands rather than put, let's say, five people together? That's true. Usually each of us writes some complete songs on his own and then we put them together on an album. There are no problems cause we both have a similar style of writing. In our other bands like Nelandhir it works the same way. Freydagson (Keyboards) and Jobst (Bass) check the tracks we wrote for them and upgrade their parts if it's necessary. What about the lyrics, which the content and who is responsible for writing them? Is there anything the influence the writing of lyrics? I spoke of atmospheric black, is this tag fine for your sound? In my review, about "Sie.." I have mentioned also medieval sound a la Summoning mixed up with shoegaze a la Alcest, do you agree? What do you think of these bands? I wrote also of folk rock as general feeling of the album, could you comment my words? We got a lot of folk settings on the album, influenced by post rock and of course folk rock as well. Summoning and Alcest are both great bands but the medival style of Summoning is inimitable in our opinion. What about your label and its distribution? How can a fan order the album? Which are the plans for the future? Should we expect any change in your sound? 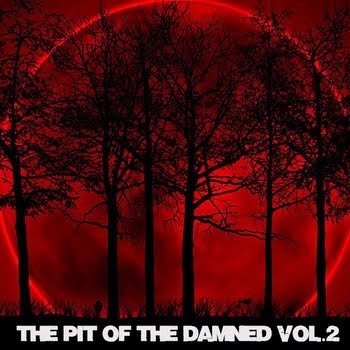 Narbentage Produktionen is small german underground label which mostly supports the Black Metal scene in the Saarland. We know the owner since years and are good friends. You can order directly by us at immorior@web.de or our facebook page and of course by Narbentage Produktionen and Black Blood Records. What are your listening to at the moment? 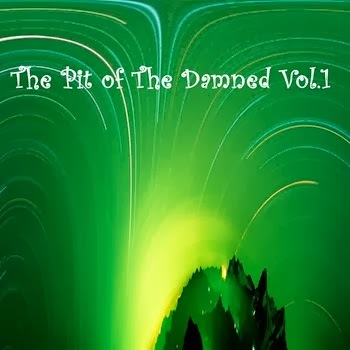 Is there any underground band you would suggest to the readers of The Pit of the Damned? I dont know… I could live without books. But there are much more records we could not live without. That's all. Thanks guys to give me the chance to dream again with my eyes open and your music as background.